AC motor kilowatt is proportional to Torque times RPM. As the motor's torque is not going to change significantly with the increase of frequency, it will now output 20% more power. A 10kW 50Hz motor will be a 12kW motor on 60Hz power source. Running a machine 20% faster is very likely going to increase its power demand by at least 20%! If the machine cyclically accelerates or decelerates in operation it will be subject to greater mechanical forces. If the motor is driving centrifugal loads their demand may even go up by the square of the speed increase. Let's say you just got a great deal on an equipment. As it's being wired up you realized that it has 50Hz on its nameplate and you have 60Hz power supply. The equipment will be running 20% faster! Is this going to be a problem? If it is, can the speed be returned to design speed by changing a pulley size to drop the speed 20% back to where it was? Once this assessment has been done and sheaves are changed or other modifications are done to help mitigate the speed/power issues, move on to the next step. Read the nameplate to get the Full Load Amperage commonly known as the FLA rating for the motor at the voltage you'll be running it with. Using a clamp-on ammeter, run the machine and check to see the amperage is below the FLA. If it is you can proceed with running the equipment as desired. Do check to see that it's still under FLA when fully loaded. If it's over FLA you must do some sort of load mitigation. 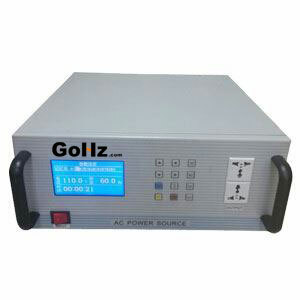 You receive an appliance and since you are in 50Hz power source, the 60Hz label is bothering you. As well it should! Again, realizing the appliance will run 20% slower, will it get the job done? In this case you can not change pulley sizes to correct the speed because the motor just lost 20% of its horsepower nameplate rating. If you change pulleys it will likely be overloaded - seriously. If the appliance can run 20% slower there may still be hope. Even though it is going to lose cooling with its internal fan running more slowly, running the load slower and with a 20% less powerful motor will likely even out. The V/Hz increase may still get you. At this point if your assessment shows you will probably be alright with the slower speed, again check the nameplate for the FLA. Run the appliance and quickly check the running current with an ammeter. If it's below FLA proceed to load the appliance while closely monitoring things. If you stay below FLA it will probably be OK. But! Running at FLA now that the cooling fan has reduced ability is still possibly going to be a problem. 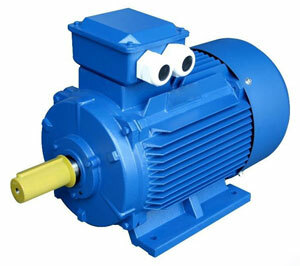 You should monitor the motor's temperature and assure yourself that after extended running time, under load, it remains below the nameplate temperature rise. If even unloaded you're seeing FLA or more you will need to reduce the voltage because the motor is probably saturating. Before going to the bother of adding buck transformers, seriously consider changing out the motor for the correct 50Hz power supply. Remember you may need to up the rated kilowatt if you're going to change gear ratios to return the equipment back to its original speed. So as i understood if 60 HZ is taken to a country where there is 50Hz and 220 volts the V/H ratio for the motor in the country of origin is 220/60 or 3.666. Now what is the price of this GoHz .Does it have a limit on the amperage ? I have purchased a cnc turning center which has three phase 230volt and 60Hz supply input .while in India we have 230volt 50 Hz supply . can I use the machine with voltage reduced to 200volts to compensate ,while as you say I will check VLA to be under rated on nameplate . My machine have dc motors . will they work properly . will this supply disturb control circuit which has axis drives . I have GE fanuc 6T control and semens motor for spindle.please guide. I have a USA washing machine 60 cycle Maytag that I shipped to Caribbean 50 cycle. I did not know about frequency at the time. The machine runs very slow. A mechanic there told me nothing can be done. Will a frequency converter help? is that different to a transformer, because I have a transformer, but still did not work as it should, very slow. Any advice will be greatly appreciated. Hi , I am from India and we have already landed in Soup. WE have procured 25 Numbers 220 Volts / 1.1 KW /15 Amps motors without specifying the Local Hz. We received 25 Nos of Motors with 60 Hz instead of 50Hz as you analyzed above. WE have no go but to use these at our own consumption as can not sell to clients, with associated issues. The application of these Motors is in Exhaust fans . Please suggest a rating for a suitable step down transformer that may improve its life. P.S --We also have some triac based voltage regulators at our site . We employ these to regulate the voltage supplied to air heaters of 3 KW rating.Can such voltage regulators /Dimmers be used to reduce the input voltage instead of a step down transformer. Does this mean a clock using the mains frequency to drive a synchronous motor could run faster or slower as the frequency of the mains varies over time? In industries we are using meter "like ammeter or voltmeter" that is designed on rated frequency (50 Hz), if we connect these meters on VFD is it gives same reading on that variable power frequency? I'm thinking of importing a British flymo lawn mower, 240v 1500w 50hz, to a 120/240 60hz supply. I have no idea of the motor Fla although running 20% faster sounds like a good thing. The question is will the motor burn out quickly or is it likely just to have a shortened life? 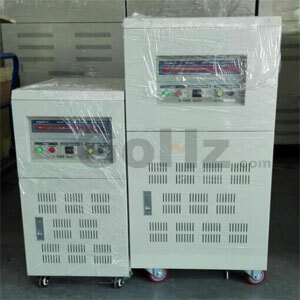 Single phase frequency converter accepts 1ph 110v/120v/220v/230v/240v 50Hz & 60Hz input, the output is vary from 1ph 0-300v 40-120 Hz. Also the converter can be customized for input & output for specific conditions. You can use 50 Hz with a motor built for 60 Hz without problem, for 400 Volts you must check the motor connection, it must be correctly connected to 400 volts, in general the motors can be connected to at least two different voltages. It is also necessary to respect the maximum current and speed parameters for the motor operating conditions, the power and the torque will be lower than the nominal ones. What about a curling iron? Since there is no motor, would my 60hz curling iron care about being plugged into a 50hz socket (assuming I've already transformed the voltage). it will work on india electrical 3 phase agriculture supply? Hi, I have chillers 380 V with 60 Hz , and supply on 380V/ 50 Hz , once I use an inverter to change the frequency , it's work for some time and the stop working , any one have a good idea ,will help !!! I am purchasing a machine from The Netherlands that has 400 VAC x 3, 50 HZ. I have 220 VAC X 3, 60 HZ here in Colombia. What do I need to do about a Transformer. So as I understood if a 60 HZ Refrigerator is taken to a country where there is a power of 50Hz and 220 volts the V/H ratio in the country of origin is 220/60 or 3.666. Eventually, is it safe operating this Refrigerator after modifying the voltage to 183.5V with 50Hz to accommodate the same ratio of 3.666? But the power supply is 60 Hz and 400 vac.